Buy online your tickets for the Euro Lottery. The draw is each Thursday and Friday! Who is the latest lottery winner in the world? February 2018: A British and Spanish players have won the first Euromillions big jackpot of 2018. The lucky numbers were 10, 17, 18, 28 and 47, with extra numbers 3 and 7. The jackpot was 177 million. November 2017: The Jackpot of 30 million has fallen and in Germany. Two German Eurojackpot players share the Jackpot and are more than 15 million euros more per person. In the Netherlands, the highest price is the fourth prize. Five Dutch people have each won € 1,333.20. A winner has been staked for the massive EuroMillions jackpot prize won in the draw on Friday 28th July. In the draw, one UK ticket-holder scooped the £51,702,049.60 jackpot, the fourth EuroMillions jackpot won in the UK this year. UK jackpot winner £87,570,000.00 at draw Friday 30 june! The EuroMillions Superdraw winner of € 100.000.000,- on Friday June 30 lives in the UK. congratulations!! Winners lives in Holland, Denmark and Germany. Friday 25th March winner in Germany. Eurojackpot winner of 76,8 million. The jackpot rolled over until £93,388,944.90 and was won by a UK ticket holder. Euromillions is an European lottery that takes place on Tuesday- and Friday evenings. Compared to national lotteries, EuroMillions pools the stakes to create huge jackpots and prizes. The main prize pool can roll over to the next draw if there is no jackpot winner. 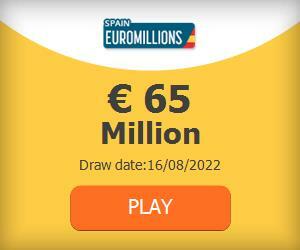 After a few weeks without a winner, prizes can get up to €190 million! 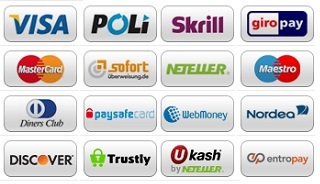 Customers can play EuroMillions online by clicking the play now button on this website. 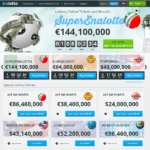 The website Eurolottery365 gives you all the information about the Euro Millions, Euro Jackpot and also Lotto from Europe as the Germany Lotto and big USA lotteries as the Powerball..
Are jackpot winners happier? Read our stories about big winners. On Friday the 24th of October 2014, the Euro Millions jackpot reached his maximum of €190.000.000. This €190.000.000 is the maximum prize money a consumer will be provided. All the prize money that is over €190.000.000 will be put in division 2. If the jackpot still does not fall the second time the maximum is reached, the €190.000.000 plus the extra amount will be added to division 2. 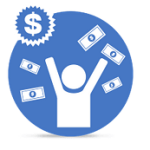 In this way, people can win more than over a €190.000.000! How to play the lottery you can read on eurolottery365.com. Euro Millions is a draw game of the National Lottery. This national lottery collaborates with the national lotteries in France, Great-Britain, Spain, Portugal, Ireland, Austria, Switzerland and Luxembourg. The draw of this lottery will be twice a week on Tuesday and Friday. At the draw, there will be five random numbers selected in a range from one to fifty. Thereby, two stars in a range of one to eleven will be selected. Two times in a year there is a mega jackpot called Superdraw at the Euro Millions Lotto. If a person has the 5 correct numbers and stars, he is the winner and will automatically win the jackpot. If nobody has the correct combination of numbers and stars, the jackpot will drop the next drawing. In this way, the Euro Millions Jackpot can rise real soon to astronomical heights: 50 million, 100 million, 150 million or even more! Also you could find all the information of the jackpot, draws and info for buying tickets online for popular lotteries as the German Lotto, Powerball USA and Australia, Superenalotto and the Uk Thunder ball. Buy your tickets for EuroMillions Lotto now online and get the Jackpot! The next draw is each Thursday and Friday. 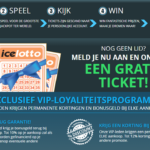 Buy your tickets for EuroJackpot now online and get the Jackpot! The next draw is (each) Friday. A really, very lucky person might be propelled to 671st put on Britain’s wealthy list – for that cost of the £2.50 lottery ticket. At £168m, Friday night’s National Lottery draw may be the greatest-ever jackpot to become offered within the United kingdom. Just one champion would become more potent compared to chef Jamie Oliver, the multiple F1 world champion Lewis Hamilton and also the singer Adele. Irish ticket lands almost €89m in Euromillions lottery. The record-breaking prize has accrued after no player in Europe were able to match all five figures and 2 lucky stars in Tuesday’s £167m draw. Based on the competition’s rules, the prize fund will go no greater than €190m – £168m at Friday’s exchange rate – where it’ll remain for four more draws. Eurojackpot is one of the most modern and exciting online lotteries to play. Each Friday, after the withdrawals the amazing prizes are transferred to the winning players. The chances of winning are way higher than they are elsewhere. 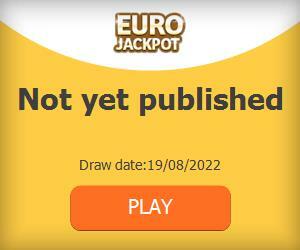 Thanks to the growing amount of players and countries participating, Eurojackpot let dreams come true. Eurojackpot was launched in November 2011 in Amsterdam by the official members of the Eurojackpot. These officials came together to start a brand new lottery, a lottery which could compete with the well-known Euromillions lottery. The selling of the tickets of the lottery started at the 17th of March 2012, with Helsinki as the location of the first drawing on the 23rd of March 2012. The Eurojackpot originally existed out of Germany, Finland, Denmark, Italy, Holland and Slovenia, more recently Spain and Estonia joined this group. To win a great prize in the Eurojackpot lottery all a player has to do is choose 5 numbers between 1-50 and 2 special numbers between 1-8. In the game, there are 12 different winning categories. The Minimal jackpot prize of the Eurojackpot is 10 million Euro and the maximal amount of money somebody has won with the Eurojackpot was 90 million Euro. The Eurojackpot also has a special rolldown clause which makes the requirements for winning the Eurojackpot lower after the 12th consecutive draw without a winner.